El Niño could help turn this hurricane season into a relatively mild one. 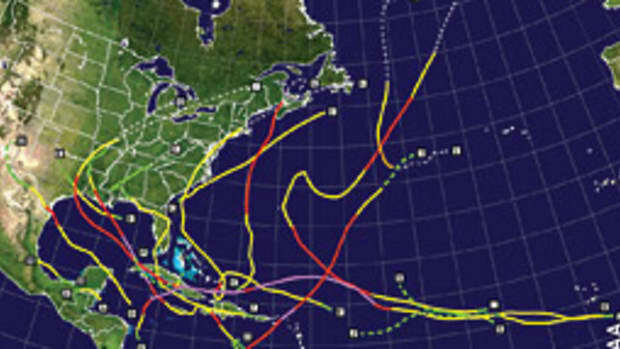 In his latest update, Colorado State University meteorologist Philip Klotzbach downgraded his 2009 hurricane forecast to below-average activity in the Atlantic and Caribbean. Klotzbach predicts 11 named storms, five of them hurricanes and two of them “major” (Category 3, 4 or 5). That’s down from a December 2008 projection of average activity: 14 named storms, seven hurricanes, three majors. “We are predicting a slightly below-average hurricane season at this point,” Klotzbach said in an e-mail to Soundings. He expects a weak El Niño to kick in at the height of the season, August to October. 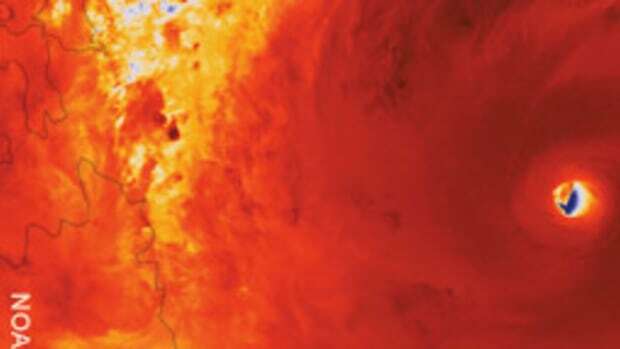 That, along with unseasonably cool Atlantic waters and a stronger-than-normal Azores high, could take some of the steam out of hurricane development during the June 1 to Nov. 30 season, he says. 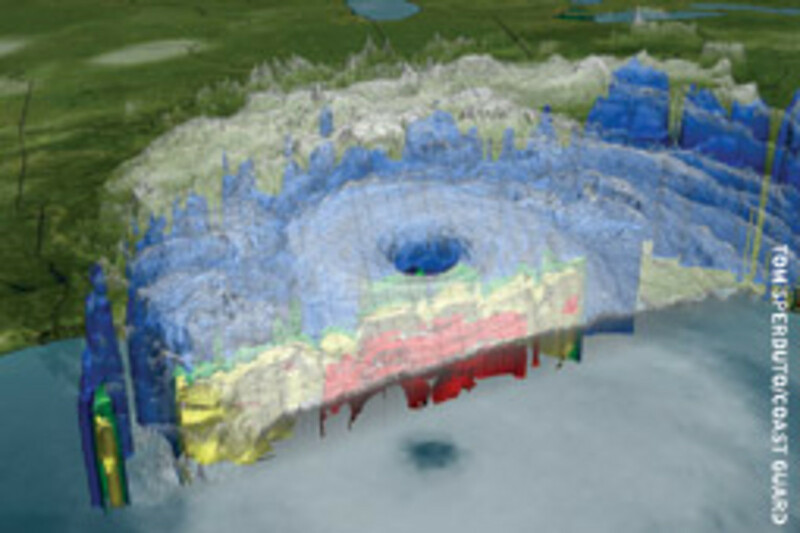 That translates into slightly reduced probabilities of a major hurricane making landfall this season: a 48 percent chance of one hitting the United States (average is 52 percent); a 28 percent chance for the East Coast or peninsular Florida (average is 31 percent); and a 28 percent likelihood of one plowing into the Gulf Coast, from the Florida Panhandle to Brownsville, Texas (average is 30 percent). The probability of a major hurricane entering the Caribbean is 39 percent (average is 42 percent). “That certainly does not mean that we won’t see a hurricane landfall this year along the East Coast,” Klotzbach says. “In 1992 — a very quiet hurricane season — Hurricane Andrew made landfall in South Florida.” Andrew, a Category 5 hurricane and the first named storm of the 1992 season, was the second-costliest Atlantic hurricane in U.S. history, exceeded only by Katrina’s $26.5 billion in damage. Tropical Pacific water temperatures warmed about 0.5 degree C this spring and were expected to continue to warm, which suggests the onset of an El Niño late this summer, Klotzbach says. Meanwhile, Atlantic waters have cooled. “There were very strong trade winds that blew across the tropical Atlantic during this past winter,” says Klotzbach, whose most recent update was June 2. “These stronger winds caused more evaporation and upwelling, which were likely responsible for the cooling of [Atlantic] waters.” They have cooled about 0.75 to 1.5 degree C since last year’s hurricane season, he says. During an El Niño, westerly winds develop in the upper levels of the atmosphere and easterly winds at lower levels, creating shear — crisscrossing winds. Shear prevents hurricanes from organizing and intensifying into storms with rotating air circulation reaching high into the atmosphere. Hurricanes draw their energy from warm water, so the cooler the water, the less likely intense hurricanes will develop. And a strong Azores high typically generates stronger-than-normal trade winds, which also cause shear and interrupt hurricane development. The stronger trades are a likely reason Atlantic waters are the coolest they have been at this time of year since July 1994, Klotzbach says.